Steven Kandarian is hedging his bets. MetLife, the $50 billion U.S. insurer he runs, may offload much of its domestic retail business. The carve-out would reduce the potential impact of higher capital requirements if the chief executive loses his fight with regulators over labeling MetLife a systemically important financial institution. Meanwhile, Carl Icahn’s activism at American International Group suggests reshaping MetLife may pay off with shareholders. The company plans to put most of its variable annuity accounts in the new American retail unit. Included are three-quarters of those with bells and whistles that, in effect, expose MetLife to market risk in what it might have to pay out. Along with other non-traditional products, the variable annuities have been singled out by the International Association of Insurance Supervisors and Daniel Tarullo, a U.S. Federal Reserve governor and regulation specialist, as particularly deserving of higher capital cushions at SIFIs. The scale of any potential competitive disadvantage isn’t yet clear because the rules have not been written. But MetLife’s spinoff numbers work out conveniently. The new variable annuity-heavy business would have $240 billion of assets – just over a quarter of the $882 billion the insurer had at Sept. 30. That’s handily less than the $250 billion reported by not-so-dissimilar Lincoln National, which hasn’t been tagged with a SIFI label. The remainder of MetLife, with roughly $640 billion of assets, would fit between Prudential Financial and AIG, the two other U.S. insurance SIFIs. On that simple yardstick, the spinoff wouldn’t render Kandarian’s battle with watchdogs moot – his company would still be big enough to merit the systemic designation and have to hold extra capital. But most of the products likely to attract big surcharges would be gone. Icahn’s proposal, made public in October, that AIG should split into three to reduce complexity and escape SIFI-dom gives MetLife additional motivation to act. Kandarian says he will continue his legal battle. But dividing in two makes the outcome less important. And judging by the 5 percent stock-price pop in Wednesday morning trade, it may help keep shareholders happier, too. MetLife, the largest U.S. life insurer, plans to separate a substantial portion of its U.S. retail business from the core company, saying on Jan. 12 that the “regulatory environment” helped drive its decision. 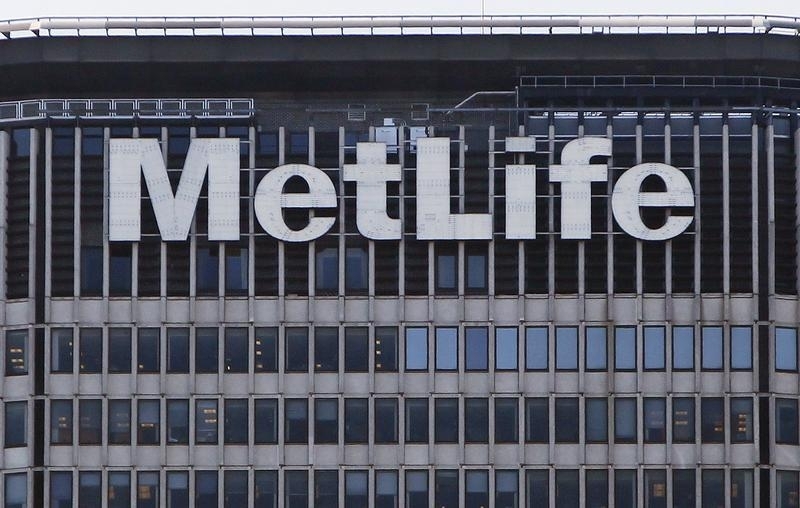 The $50 billion MetLife is considering various approaches for splitting off the retail business, including an initial public offering, a spinoff or a sale. The business sells life insurance and other financial products across the United States. The insurer, run by Chief Executive Steven Kandarian, is currently in a legal tangle with federal regulators over its designation as a systemically important financial institution, or SIFI, in 2014. That label, created after the financial crisis, means MetLife will have to hold as yet undefined higher levels of capital than other insurers.